The Tabs element is available across all three builders. The Content Builder, the Header Builder and the Footer Builder. The purpose of the element is to output multiple groupings of content within a traditional "tabbed" style component, which can be toggled to reveal one panel at a time. v2 Tabs are only available in Pro v2.1.0+ and Cornerstone v3.1.0+. Contains a standard ul comprised of li elements with button children as the toggles for each panel. What we can see from the representative diagram above is that every Tabs element is made up of one or more (typically at least 2) "tabs." 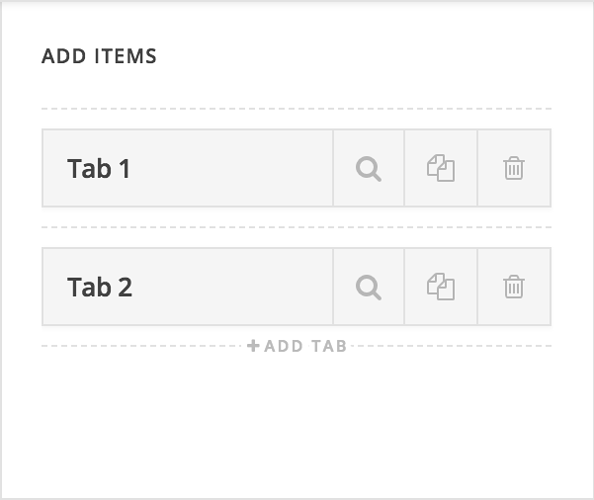 A full "tab" is made up of its panel of content and a corresponding tab up in the .x-tabs-list element, which can be toggled to reveal different panels. Below we will walk through the various controls available for each section of the Tabs element and how you might use them to achieve certain looks. In this section we will walk through each control grouping and pay special attention to any unique controls or things of note. The base level control grouping is labeled Tabs, which styles the containing element that holds all child elements. This is also where you will add your individual tabs, which can be inspected to adjust content as needed. 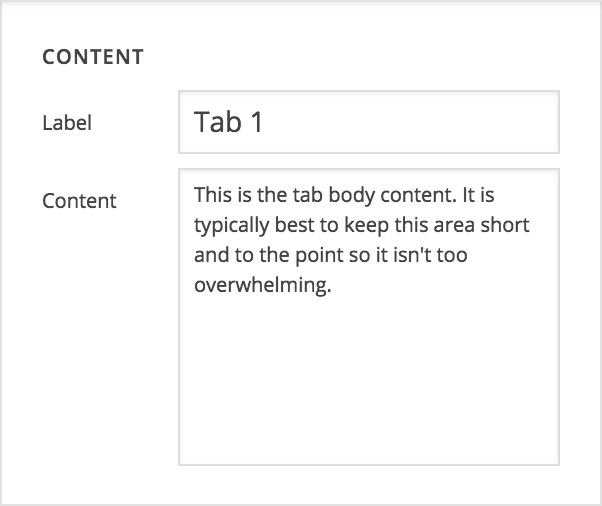 In this screen, you can edit the tab label that appears at the top of the Element as well as the content for that tab, which will appear in the "panels" down below. 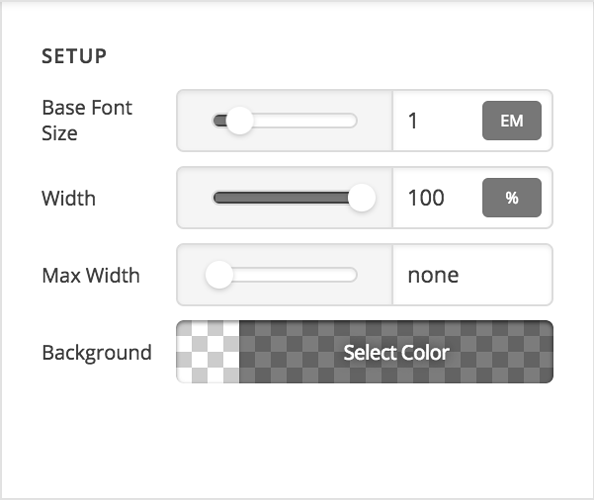 Here you can perform many of the basic functions you see across other v2 elements such as setting a base font size, background color, and width/max width values. After that, you will find the traditional controls for things such as margin, padding, borders, shadows, et cetera. The Tab List control grouping is primarily comprised of the traditional controls for things such as margin, padding, borders, shadows, et cetera. Remember that these will visually only appear to alter the layout of the tabs if their overall dimensions are less than that of the container. Also, the way that the tab list works is it follows a similar convention now seen with many large-scale websites such as Google and Medium, and is even being used in modern, popular boilerplate frameworks like Bulma. The tab list container has an overflow-x: auto; style applied to it, which will only display a scrollbar when the amount of tabs and their dimensions are larger than that of their container. They can then be horizontally scrolled through, which also effectively allows for an "infinite" amount of tabs as this pattern is completely responsive at all screen sizes no matter how much content you throw at it. One final important note for individual tabs is that when adding side margins, any margin-left values for the first tab or margin-right values for the last tab will be set to 0px !important, which comes from the static styles present within the theme. This is so that you can place spacing in between your tabs if desired without any extra spacing on one side or the other of the tab list container. If additional spacing is needed on the sides of the tab list container, you can use side padding values to achieve this. Here you can set the background color for each individual panel, but you can also configure a few additional appearance options as well. 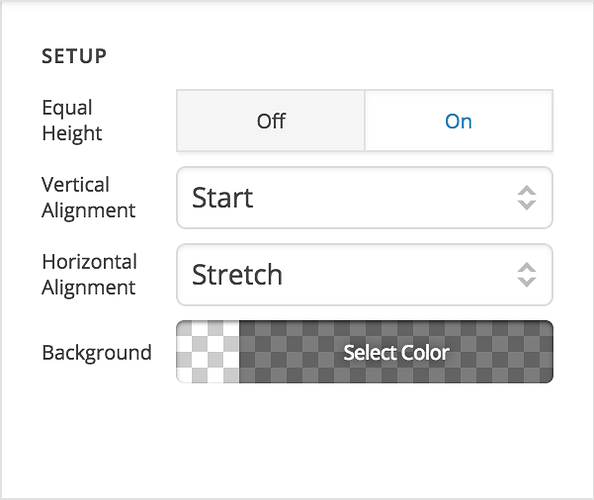 By default, the "Equal Height" control is set to off (which will also hide the alignment controls below). 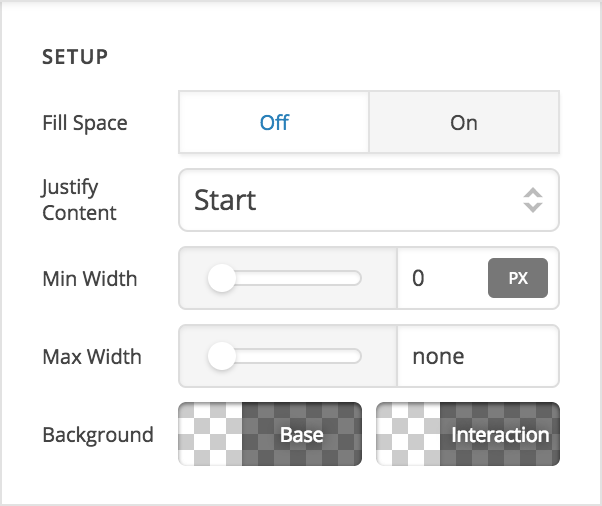 If turned on, all panels will be set to the same height as the tallest panel within a grouping of tabs. If enabled, each panel is setup using display: flex; with a flex-flow: column nowrap; layout, which is what allows us to introduce the "Vertical Alignment" and "Horizontal Alignment" controls. These can be used to move content around within the tabs in special ways if desired. For instance, if you wanted your panels with less content to be vertically centered, you could select "Center" from the "Vertical Alignment" control, et cetera. Keep in mind that the "Vertical Alignment" control will appear to have no effect on your tallest panel as that is the panel that all other panel heights are based on. After that, you will find the traditional controls for things such as margin, padding, borders, shadows, et cetera.